Brazil's National Industrial Property Institute (INPI) on Monday reportedly rejected an Apple claim for exclusive "iphone" naming rights in the country, noting that the mark was filed for by a local electronics company in 2000. Citing people familiar with the matter, local publication Folha de S.Paulo reported on Tuesday that the INPI ruled Brazilian electronics maker IGB, which was awarded rights to "iphone" under the Gradiente brand in 2008 after filing for it in 2000, will retain exclusive rights to the trademark. There has yet to be official word regarding the decision, however, as technical problems with INPI's Intellectual Property Magazine have pushed back a scheduled announcement to Feb. 13. In an interview with Bloomberg, IGB Chairman Eugenio Emilio Staub said Apple has not contacted the company. INPI Spokesman Marcelo Chimento confirmed a ruling had been made, but declined to share details regarding the decision. A follow-up report from Reuters corroborates the Brazilian publication's claims, adding that IGB Electronica SA, a company created after a restructuring of Gradiente, launched its own "iphone" smartphone in December. 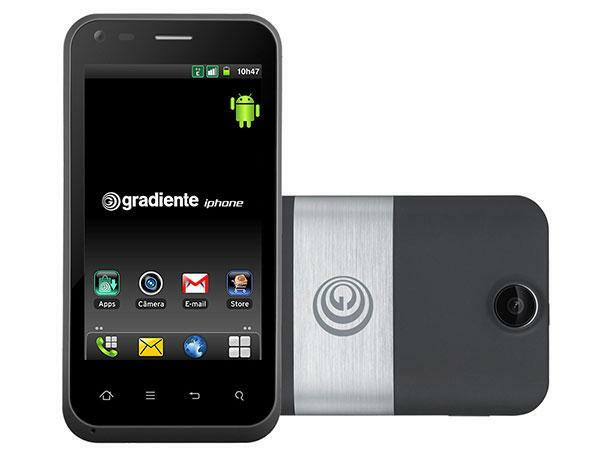 The device runs Google's Android operating system and retails for 599 reais, or about $302. Apple sought exclusive rights to the "iPhone" moniker in 2006, eight months before the company launched the first iteration of the popular handset in 2007.